With its geometric shape and natural appearance, the Daughter Coffee Table offers a modern choice in any living space. The coffee table boasts angled legs of acacia wood in a contemporary dark walnut stain, and these legs deliver unparalleled strength and stability. 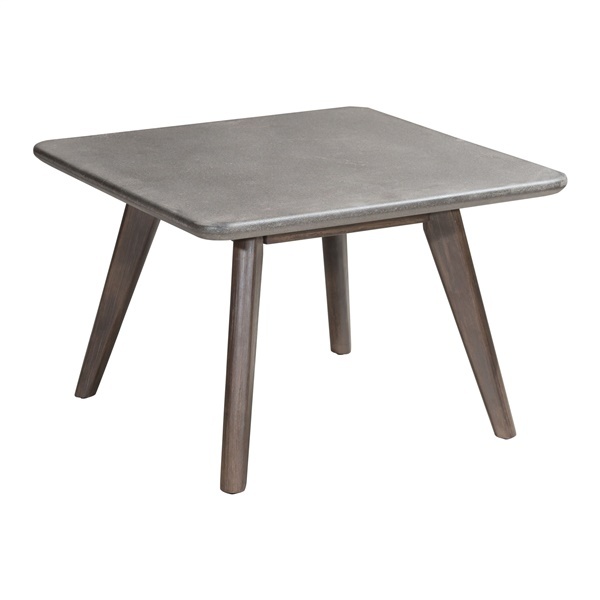 Also, the table's top consists of non-porous cement that is easy to maintain. Enjoy a stunning and versatile coffee table day after day by picking up the Daughter Coffee Table.